Rae Earnshawand John A. Vince --_. . _----- 1 Introduction The USPresident's Information Technology Advisory Committee (PITAC)recently advised the US Senate of the strategic importance of investing in IT for the 21st century, particularlyin the areas of software,human-computer interaction, scalable information infrastructure, high-end computing and socioeconomic issues . 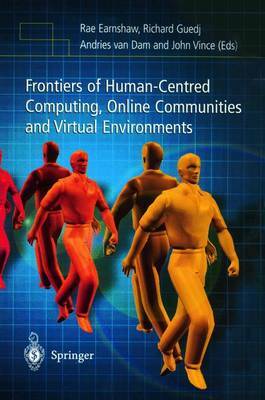 Research frontiers ofhuman-computer interaction include the desire that interac- tion be more centered around human needs and capabilities, and that the human environment be considered in virtual environments and in other contextual infor- mation-processing activities. The overall goal is to make users more effective in their information or communication tasks by reducing learning times, speeding performance, lowering error rates, facilitating retention and increasing subjective satisfaction. Improved designs can dramatically increase effectiveness for users, who range from novices to experts and who have diverse cultures with varying educational backgrounds. Their lives could be made more satisfying, their work safer, their learning easier and their health better.